Ukraine has been transformed by the preaching of the Gospel. For 26 years, David has evangelised extensively, regularly visiting the areas which are now off-limits due to the war. 29-30 September 2018, David returned, and ministered in four different churches around Kiev. 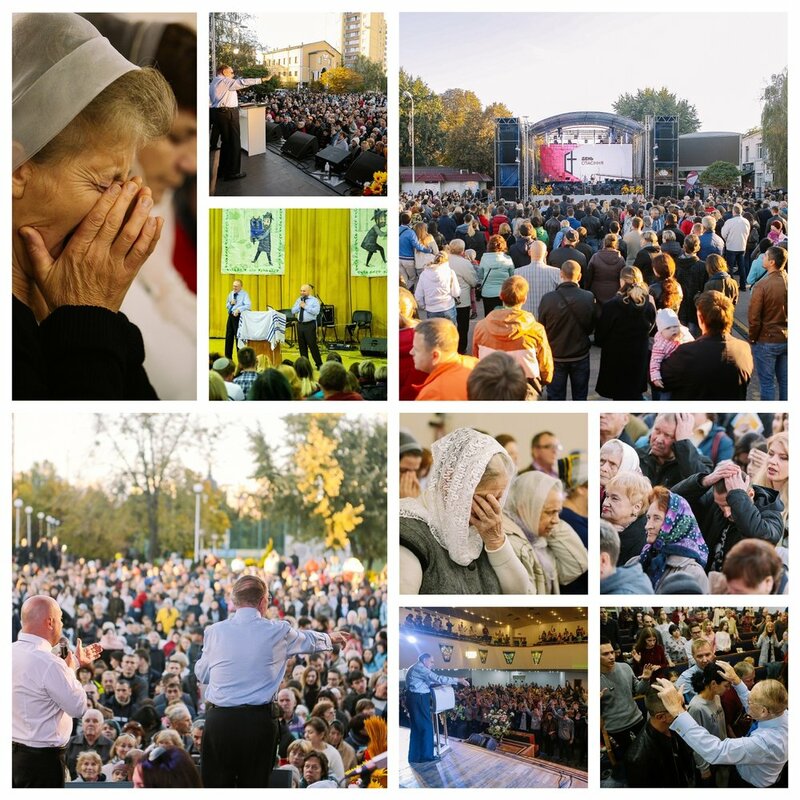 An estimated crowd of 5000 attended the 25th anniversary of Salvation Church, Kiev. David was the guest speaker at the open-air celebration. Salvation Church work in one of the densest dormitory populations of Kiev - supported by the Mayor of the district and his administration - because the drug addicts and homeless are saved, crime has fallen, and the streets have been cleaned up both literally and spiritually by the effectiveness of the Gospel of Jesus Christ!